Davis brings a master's degree education, teaching experience and an analytical approach to the Mariners' staff. PEORIA, Ariz. — When Paul Davis steps onto the manicured practice fields Tuesday morning at the Mariners spring training complex, 30 or more pitchers will look at him as their de facto leader and await his instruction for their first workout of the 2019 season. While his hiring was official in early November, this will be his real first day in an atypical journey to the major leagues as the Mariners’ new pitching coach. “I’m very excited,” he said while flashing a reluctant smile through his reserved demeanor. The preparation for this moment was born from the unlikeliest of places. It was the dusty ballfields in small towns around Nebraska as he coached 17- and 18-year-olds — many of whom could only dream of reaching this level. It was also the four years of rarely warm spring games around the Midwest, while leading a successful NAIA baseball team for a now-shuttered institution once called Dana College. Those years featured offseasons spent coaching college players in summer leagues. But the process didn’t just take place on the field. No, it came in the classroom, where he reinvested in an education that had stopped with a Bachelor of Arts in psychology from Creighton following his final two years of baseball (1984-1985). The desire to learn and self improve carried him to a bachelors’ degree in history from Peru State College in 2004 and a master’s degree in educational administration from the University of Nebraska, also in 2004. He then took on education from the other side, serving as an adjunct professor at three different colleges for varying periods from 2005 to 2012. Then came his chance at professional baseball with the St. Louis Cardinals in 2013 as a pitching coach for the short-season rookie affiliate in Johnson City, Tenn. He remained in the organization for six years, adding responsibilities to his role and taking on new titles, eventually cresting as the Cardinals’ director of pitching analytics. 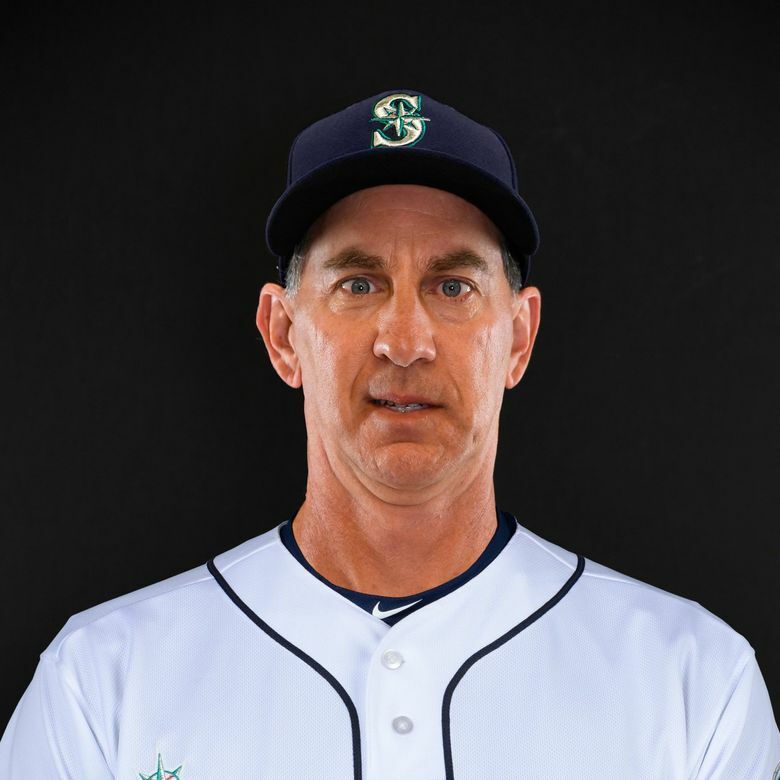 His eclectic resume and willingness to think differently from established pitching coaches made him attractive enough to the Mariners to hire a coach with no big-league experience to replace Mel Stottlemyre, who was let go after the 2018 season. Seattle general manager Jerry Dipoto called Davis “a bright pitching mind with a very diverse background” in the hiring announcement. The modern pitching coach must not only be able to assess mechanical issues or put together rotation plans but also embrace new technologies such as Trackman (for tracking pitches and batted balls) and Rapsodo (for tracking pitches) and the data they provide. And then, he somehow has to take the new information provided and use it to help pitchers. “It’s one of the reasons he’s got the opportunity to take the reins here and we’ve given him the opportunity to run with it,” said manager Scott Servais. Because of his background in education, Davis embraces the idea of never being satisfied with — or with questioning — what is known. Joining an MLB franchise offered him new ways to find “A-ha” moments. It isn’t all about mechanics or pitch grips or spin rates. Sometimes, it’s as simple as checking the data on pitch selection. But in his new role, Davis’ responsibilities extend beyond data. He has to organize and oversee the throwing program this spring. He’s in charge of an entire pitching staff that will be formed from about 25 legitimate candidates. “It’s a challenge, no doubt, and it’s Paul’s first time in the big leagues,” Servais said. “There’s a little bit of a learning curve. It’s not just about learning the information that’s presented in front of you, but learning the personalities and how it’s being presented to you. It takes time. Beyond Marco Gonzales and Sam Tuivailala — both former Cardinals — he doesn’t really know much about the pitchers in camp. Davis spent some time in the offseason, studying up on the pitchers invited to camp, particularly those projected for the opening-day roster. Davis isn’t going to do anything crazy with the setup of spring training. Pitchers will throw bullpens every third day, similar to the past few seasons. The process to build up stamina and arm strength will be the same.